Home » Dangerous Jobs and Life Insurance: What You Must Know? You know that protecting your family with life insurance is a smart move, but what if you have a career that makes underwriters view you as risky to insure? Some of the most rewarding careers are the riskiest, but there are still ways to get life insurance at an affordable rate. Today we will look at which jobs increase your life insurance rates the most, and how to get life insurance for risky careers. Logging is considered one of the most dangerous jobs in the world. In Canada, fatality rates among loggers are better than most other nations, with 33.3 out of 100,000 – but it’s still considered a very high-risk job. Falling trees, massive equipment, and unpredictable working conditions contribute to why logging is on our list of life insurance for risky careers. As most of Canada is landlocked, commercial fishing isn’t one of the nation’s larger industries, but it is still one of the deadliest. When commercial fishing and trapping are combined under one banner, we see 52 deaths per 100,000 workers; a fact that makes underwriters very uneasy. Mining and natural resources are massive industries in the prairie provinces. 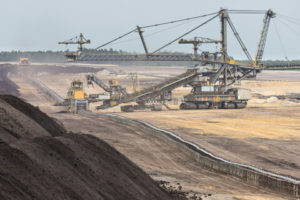 However, oversized equipment, rugged terrain, exposure to toxins, and working outdoors in all kinds of weather conditions make mining and resource extraction almost as deadly as fishing and trapping. Sadly, 46.9 out of 100,000 employees meet their demise in this field. With the housing markets burgeoning in the east and the population growing in the west, construction, both residential and commercial, is a mainstay of Canada’s economy. 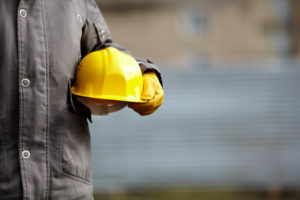 About 20.2 out of 100,000 construction workers have fatal accidents each year, making this yet another career that needs to look for life insurance for risky careers. How Does One Get Life Insurance for Risky Careers? The jobs on this list describe the careers of many hardworking Canadians, and we didn’t even list the common ones of firefighting and police service! So, how can Canadians get the life insurance they need and deserve if they have a risky career? If you need life insurance for a risky career, first check to see if you have association coverage. This is sort of like group employee coverage (which we will get to in a moment). Association coverage is offered to union members, alumni, and those with professional designations. As it is a “group” product, it can be obtained without a medical exam or health and lifestyle questions. For example, Paul is a 45-year-old construction worker that mainly does high-rise products. Fully underwritten life insurance is costly, but since he is part of a union that provides insurance for its members, he is able to get coverage by talking to his union’s plan administrator. Employee benefits is another route for life insurance with no medical or lifestyle questions on the application. It is worth the while of anyone in a risky career to see how much life insurance is available through their employee-sponsored plan. Association and group coverage limits can be very modest. To know how much coverage you need, calculate the household’s fixed expenses for a 3-5 year timeframe, and look at how much of that your income covers. Then, add in final expenses, such as your final tax return and funeral costs / burial costs. Once you arrive at a total, you may see that the group or association coverage isn’t enough. Don’t despair – you still have options! Simplified issue and guaranteed issue are life insurance policies designed for those with health problems and/or risky careers. A simplified issue policy has a few health and lifestyle questions, but it does not ask for as many personal details as a traditionally underwritten policy. A guaranteed issue policy has no health or lifestyle questions at all. You cannot be denied coverage under most circumstances, and the only main requirement is that you do not pass away during the first two years of coverage (if you do, your base premiums paid to that point are returned to your beneficiary). Simplified and guaranteed issue are great ways for independent contractors in risky careers with no coverage to obtain a policy. For employees in risky careers with insufficient coverage, simplified and guaranteed issue can be a worthwhile top up. Remember, if you have some coverage and just need a little more, you can apply for a lower amount, just the difference between what you have and what you need, this will help reduce your premium as simplified and guaranteed issue cost more than fully underwritten policies. Did you know that an agent can only sell the products of one company, but a broker can sell the products of any life insurance carrier in Canada? When you need life insurance for risky careers, a broker shops the market to find not just the best rate, but also the best carrier for your needs. These brokers have in-depth knowledge of the newest policies and their requirements, and any special programs designed specifically for risky applicants. Don’t just dream about enough coverage to protect your family. You can get the coverage you need – speak to one of our life insurance specialist to get a simplified issue life insurance quote. You can have your career and your coverage too.